#04 features the work of Russ Wooton on the series Extremity, produced by Image/Skybound Entertainment. This is the eleventh and last post in a series centered around a graphic design challenge of making something new everyday for a year. This post follows days 266 to 300 with a focus on logo design. This is the tenth post in a series centered around a graphic design challenge of making something new everyday for a year. This post follows days 251 to 265 with a focus on digitally recreating the style of the kids toy, Spirograph. #03 features the work of Steve Wands on the series Descender, produced by Image Comics. This is the ninth post in a series centered around a graphic design challenge of making something new everyday for a year. This post follows days 224 to 250 with a focus on comic book coloring. The pencils were pulled from some existing black and white comics, my own work, and pencils from Earl Womack from our upcoming series, Tunnel Rat. This is the eight post in a series centered around a graphic design challenge of making something new everyday for a year. This post follows days 197 to 223 with a focus on digital painting inspired by the work of abstract painter Mark Rothko. This is the seventh post in a series centered around a graphic design challenge of making something new everyday for a year. This post follows days 177 to 196 with a focus on photography and capturing light with a slow shutter speed. This is the six post in a series centered around a graphic design challenge of making something new everyday for a year. This post follows days 147 through 176 with a focus on crafting designs with some element involving my hands. 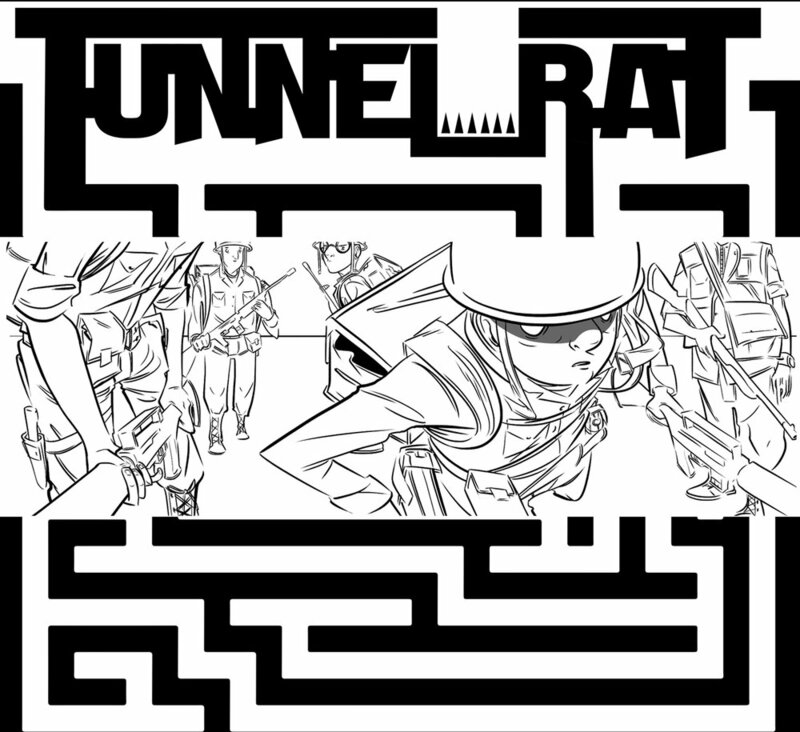 Introduction to Matt Durand and Earl Womack's upcoming Vietnam War comic book series Tunnel Rat. This is the fifth post in a series centered around a graphic design challenge of making something new everyday for a year. This post follows days 117 to 146 with a focus on user interface design.